Nissan is currently in the midst of its “Calling All TITANs” campaign, where it asks Nissan TITAN drivers and fans alike to volunteer and donate to nationwide charities. 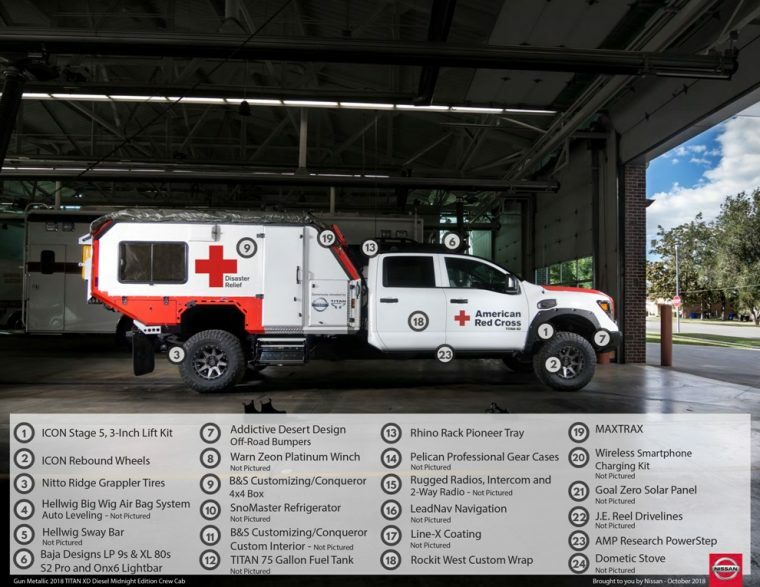 This week, the automaker gave the American Red Cross the Ultimate Service TITAN, a truck built to act as a command center during natural disasters. 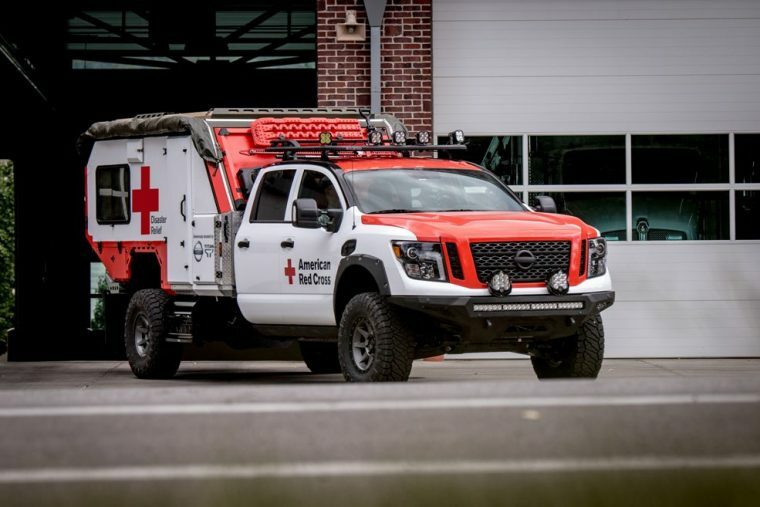 The American Red Cross and Nissan worked together to build this truck to make sure it met the needs of first responders to disasters. 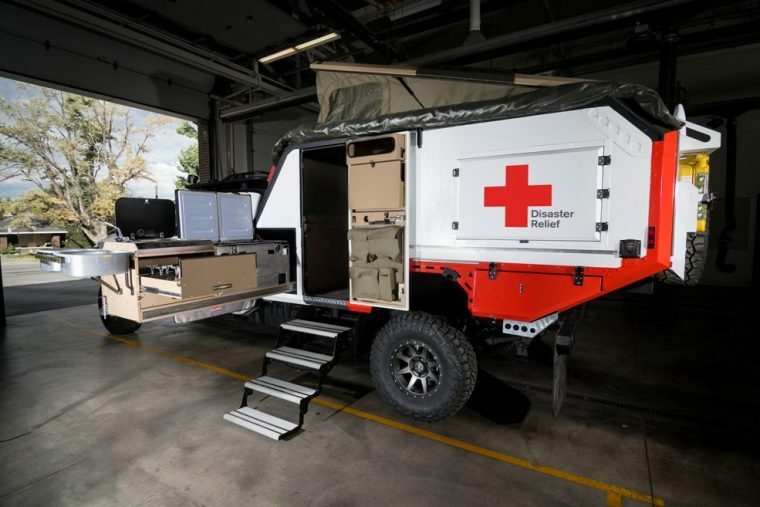 The vehicle’s base is a TITAN XD Diesel Midnight Edition Crew Cab with its standard bed removed and replaced with a B&S Customizing Lightweight Bed Box. Additional body armor was also added to protect the vehicle from hazardous terrain that could damage consumer-level vehicles. 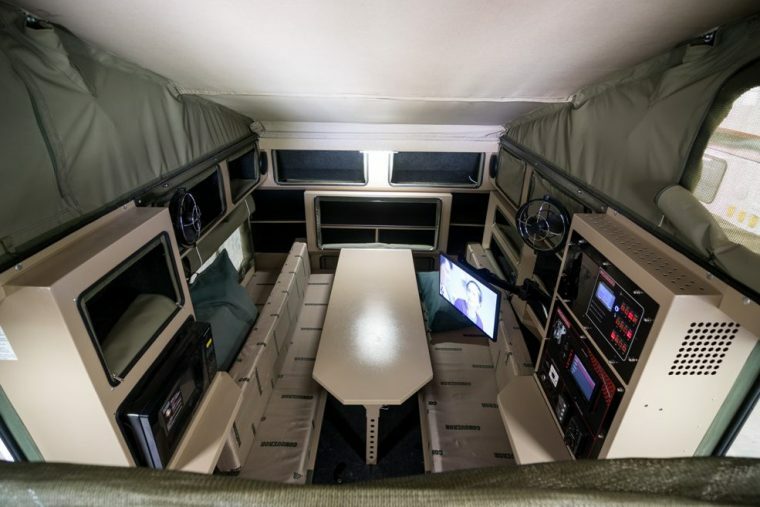 Inside the truck’s new rear cabin are a desk, solar power generator, and built-in Wi-Fi for the best communication possible between organizers and responders. It is temperature controlled and has a resting area in a pop-up roof tent as well as a microwave, sink, and stove for breaks between shifts. The furniture can easily be reconfigured into a blood donation or first aid center if needed. The refrigerator can keep food, medicine, or blood at an ideal temperature, depending on what the crisis calls for. If you want to see this cool truck for yourself, it will be on display at the Miami Auto Show through tomorrow, Oct. 13. 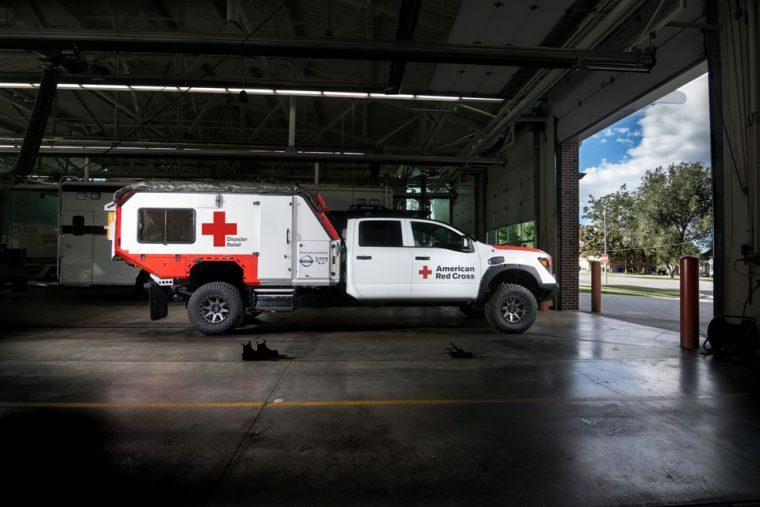 After its time on display, the truck will go into service for the Red Cross in South Florida.